Your vehicle’s wheelchair lift is essential to transporting your wheelchair so that you can get to wherever you need to go. If your wheelchair lift breaks or malfunctions, this can cause unnecessary stress and disrupt your daily activities. There are common issues that arise for wheelchair lift owners and we have put together helpful information to get you back on the road. First, you should know what type of lift you have then you will better understand how to fix it. Wheelchair lifts can range from personal use to commercial use that allow the wheelchair user to remain in the wheelchair and load in the vehicle using a wheelchair lift. The most common type of wheelchair lifts are referred to as either a single post or dual post. The single post lift has a ring worm drive system. This will have less lifting capacity but will be quieter, quicker in the winter, and it takes very little room when stowed to access the doorway for entry and exit. The drive system in the dual post is a hydraulic system which is very popular for commercial use and lifting heavier and larger wheelchairs. Second, you should always take advantage of your local dealer’s PMI (preventive maintenance inspection) at least once a year. This will ensure pivot points stay clean and lubricated, adjustments to inboard and outboard barriers and activating limit switches in the wheelchair lift. The key to a reliable wheelchair lift is performing PMI's before your lift malfunctions and leaves you stranded. Most wheelchair lifts have manual backups. Commercial lifts or hydraulic lifts have a pump with a handle similar to a jack. This allows you to pump the lift back up with a wheelchair user on it. If you need to get someone out of the vehicle you can also override this. With the same pump handle, locate the open port directly below the pump jack you use to raise it up, insert the pump handle in and turn 1/4 counter clockwise to release the fluid throughout the lift rams. When it is open, you are allowing the fluid to escape and gravity to lower it to the ground. To get pressure back in the system, turn it back clockwise until it's tight. Pump the lift up and the fluid will go back into the rams to raise the lift back up. Personal use lifts or single post lifts will have override switches located on the lift tower itself. Hopefully the dealer reviewed this with you or you can reference the owner’s manual. Located on the lift is a cover. Open the cover and flip the main two switches to override. You will also see two toggles that have a red sleeve on them. When it's in the override function, these switches have direct power over the electronics which comes from the vehicle’s battery. The battery must have sufficient power to operate the lift. One of the toggles will be labeled “stow-deploy”. By pushing deploy you will unfold the stowed platform to floor level allowing you to drive on the lift from inside the vehicle. When the wheelchair is centered on the platform you will push down to lower it to the floor. The electric motor will activate because these switches bypass the main motherboard and limit switches that is probably causing the issue. Release the button when the platform gets to the ground. Reverse the steps by pushing the up button to raise the lift back to floor level. Push the stow button to stow the platform vertical in the doorway to close the doors. Make sure the seat belt or other interlocks are locked or activated. Ensure the hand pendant is turned on. Check the battery in the remote if you have a wireless remote. If the lift started to work and then stopped, restart the vehicle to get full voltage. Some lifts are sensitive to voltage getting low. Check the fuse or breaker under the hood. Make sure the doors are all the way open as most lifts need the door to activate a limit switch in the door track before power is sent to the lift. Check lift ground, typically located underneath the vehicle below the lift. If extensive rust, grind the rust off and reattach the ground. If the problem continues or is not fixed, contact your local mobility dealer for further inspection and assistance. For a more comprehensive look at the most common ways to troubleshoot broken wheelchair lifts, click here. 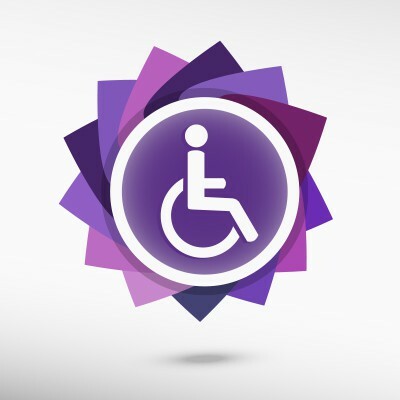 Check back often to learn more about the common issues users experience with mobility equipment and how best to troubleshoot the situation. We will be offering tips that only require minimal automotive background. If you have an issue that you would like the BLVD team to provide more information on, please email katie@blvd.com.